Edmonton, AB–Nissan is bringing its most advanced technology, and the next step towards self-diving vehicles, to one of Edmonton’s best-selling SUVs: the 2018 Nissan Rogue. 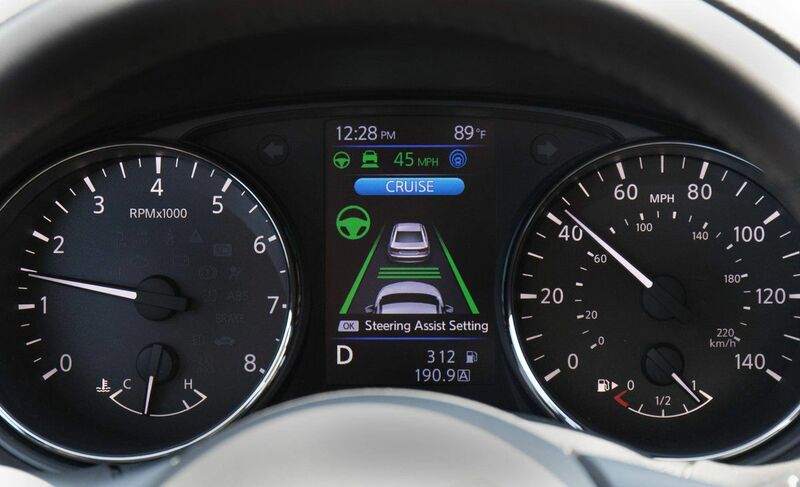 An advanced adaptive cruise control feature, Nissan ProPilot Assist keeps your centered in your lane, navigates stop-and-go traffic, and maintains a set distance from the vehicle in front of you … all with the push of a button. Where ProPilot Assist comes in handy is on long-haul drives, or daily commutes around the Henday. It takes care of all the small corrections and adjustments you constantly do while driving. These aren’t as noticeable on your way to work every day, but on four-hour trips to Jasper, or 12-hour drives through BC or Saskatchewan, these constant corrections play a big part in why you feel so exhausted. ProPilot Assist eliminates all of that, which is why it was a finalst for AutoBlog’s Technology of the Year. In addition to smaller corrections, the Assist feature will notice if you’re not moving the wheel and deliver a warning buzz or siren. If you don’t respond, it will tap the brakes. In extreme situations, the ProPilot feature will stop the car to wake you up. What’s great about Nissan’s ProPilot Assist is that it’s so simple to use. As soon as you turn on cruise control, it activates automatically. It instantly tries to recognize the lines on the road, which only takes a few seconds. If you just want to use cruise, there’s a button on the dash to turn ProPilot Assist off. Let’s be clear, though, this feature is definitely not meant to turn the 2018 Rogue into a self-driving vehicle. The name includes the word “Assist” for a reason. The driver is always meant to keep his/her hands on the wheel. Nissan is planning to release ProPilot assist with other models in Alberta in the future, roughly 10 by 2020. Want to test drive the 2018 Rogue with ProPilot Assist for yourself?